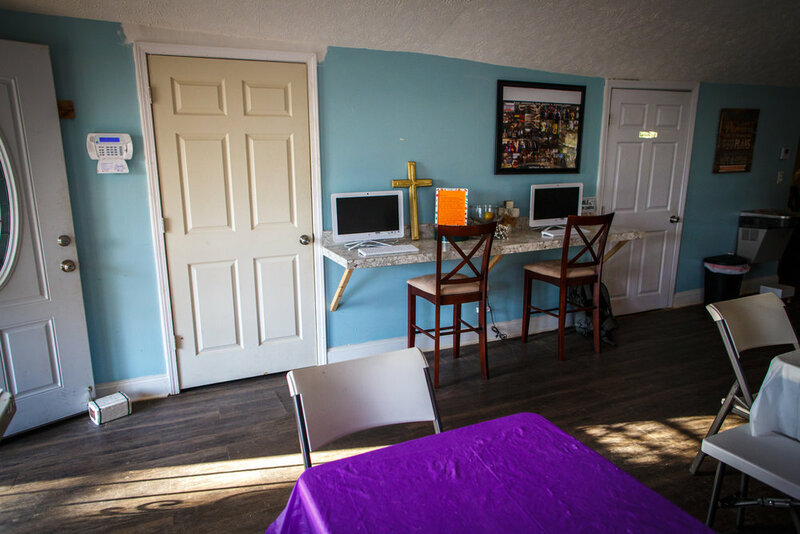 The Mercy House is one of the tools in the Washington Park Community to Redirect Lives. We are a “Day House” providing a safe place for people to receive all kinds of help. We are a multifaceted ministry. A safe haven for homeless people to get a hot meal, take showers, and wash and dry their clothes. We are a safe place for children to stop in and receive an after school snack on their way home each day. During the holidays, when there is no benefit of a free school sponsored lunch, we feed young people who are hungry. We are a safe place in the community for our children to learn and play in a Godly environment. Our facility has two full bathrooms with showers available for homeless people to use. There are washers and dryers available for families in need to wash and dry their clothes. The food pantry has the capacity each week to serve three meals a day to 50 families of five. The Mercy House also serves hot meals six days per week to the elderly, the homeless, and kids that are not in after-school programs. During the holidays, we provide community get togethers with food for anyone and everyone. 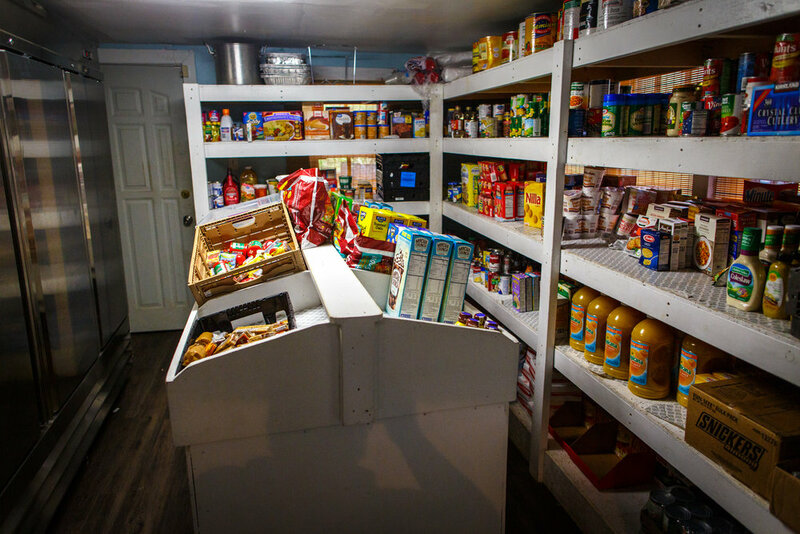 The food pantry provides non-perishable goods as well as fresh produce. The clothes closet is available with the intent to help those people in need of proper attire for job interviews, work, or school attendance. Computers with wi-fi access and printers are also available for school needs, job searching needs, and online business needs. In 2010 New Walk of Life Church purchased a house at 2412 Council Street. We served as a food pantry in partnership with Common Ground Montgomery as part of it’s outreach mission. In 2018, Mercy House formally organized as a new 501c3 as a means to expand on the mission of serving the Washington Park Community. Since 2004, Pastor Ken Austin has been serving as pastor of the New Walk of Life Church. 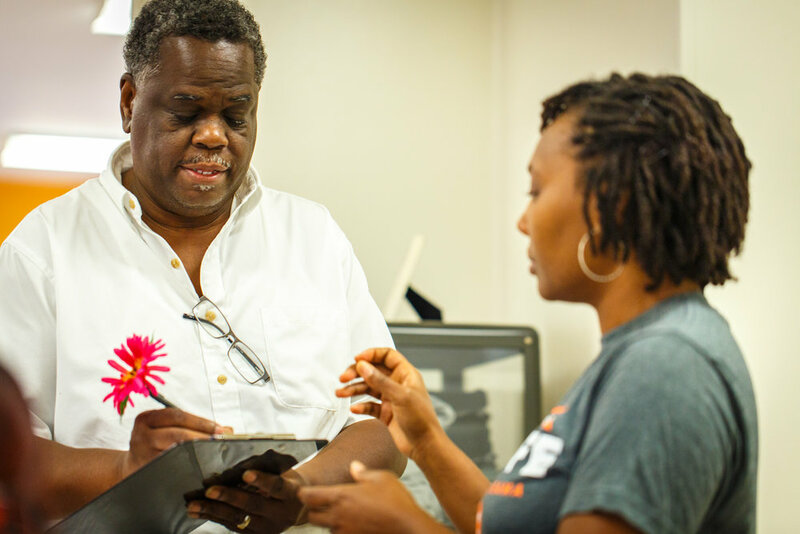 Pastor Ken is the executive director of Mercy House and cares deeply for the community. Ken is the executive director of the Mercy House. He is the ninth child and seventh son of thirteen, is a native of Mobile, Alabama, and a Murphy High School graduate. He met his future-wife in 1978 at a small country church in Darlington, South Carolina, and they married in 1983. Ken served in the United States Air Force for ten years, owned a used car dealership, and is the pastor at New Walk of Life Church. Ken said when he looks back over his life, he realizes that he and Thomasina have raised their children, owned their own business in West Montgomery, and have lived in this great town of Montgomery for almost 30 years. Ken says, "Yes, God has a sense of humor. He sent me to South Carolina where I later joined the Air Force and thought that I would travel the world; however, God brought me right back to my home state to live, serve, and work in the west side of Montgomery." 2412 Council Street during initial renovations. 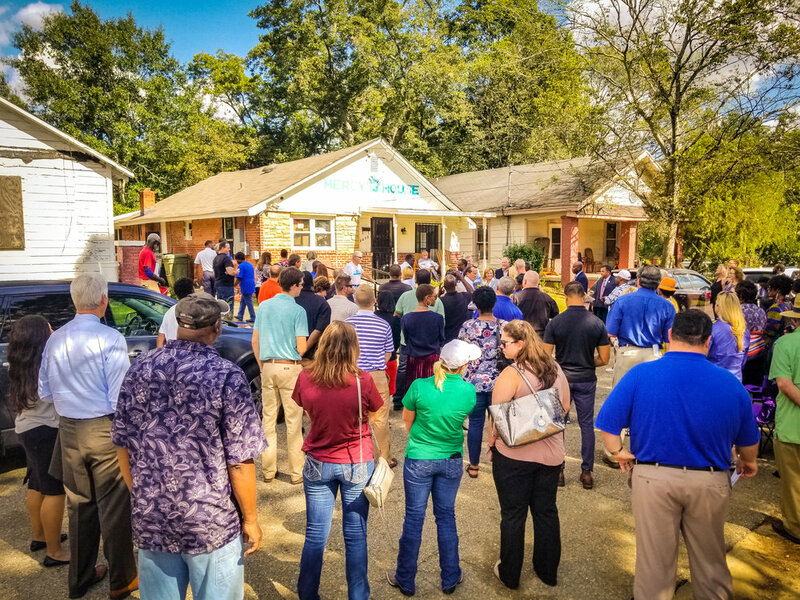 The Montgomery Chamber of Commerce came out for the grand opening to celebrate the Mercy House becoming its own 501(c)3 non-profit in October 2018. Renovations are already underway for the next phase, the Pathway House, which is located just a few buildings over from the Mercy House. We designed the Pathway House to be a multifaceted building that will house programs to meet many of the needs of impoverished people. It will be an adult education center during the week which will include parenting classes, GED classes, financial literacy classes, word-processing and basic computer skills , interviewing techniques, and resume writing. We will also teach how-to-dress-for-success classes for the work place. The Pathway House will become a tutoring center for children that are not in any other structured program in the community. On Sundays, the Pathway House will be used for Sunday school classrooms for the next door New Walk of Life Church.